The Public Theater will go the distance this summer. 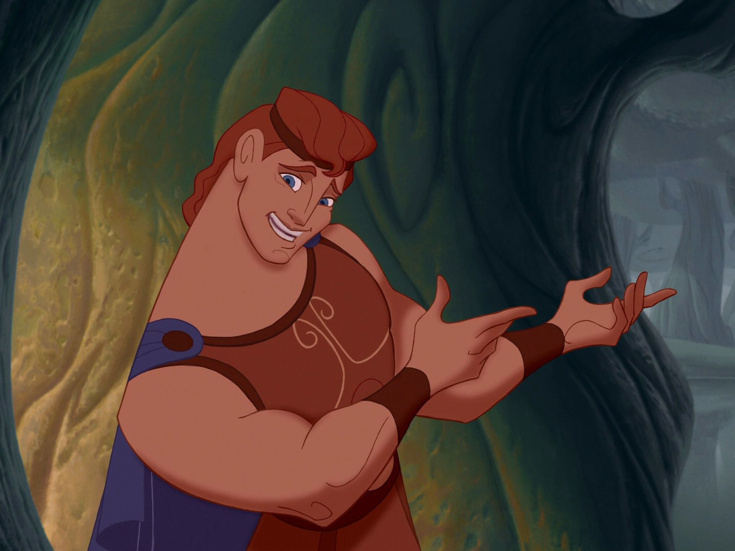 The off-Broadway nonprofit has announced a Public Works staging of Hercules, the musical based on Disney's 1997 animated film, slated to appear in the outdoor Delacorte Theater in Central Park following two new Shakespeare in the Park mountings. Directed by Lear deBessonet and choreographed by Chase Brock, Hercules will run from August 30 through September 8. As with all Public Works productions, the story will be brought to life by professional actors and community groups from across the city. "Many generations of our Public Works families have embraced Disney musicals as a shared American canon," said Public Works founder and Hercules director deBessonet. "Hercules' roots in Greek mythology, infused with soulful gospel music, make it a natural extension of Public Works' radical exploration of humanity through Shakespeare and the classics. We're excited to see how this Public Works production will uncover the deeper meaning of what it means to be a hero and how true strength is derived, not from the greatness of one person, but the transformative power of community." Featuring a book by Kristoffer Diaz, music by Alan Menken and lyrics by David Zippel, Hercules is based on the legendary title hero of Greek mythology who was snatched as a baby by Hades and forced to live as a half-man, half-god. Now a teenager, he is required to perform a rite of passage on Earth to prove himself worthy of living with the gods on Mount Olympus. Hercules will feature scenic design by Dane Laffrey, costume design by Andrea Hood, lighting design by Tyler Micoleau, music supervision/arrangements by Michael Kosarin and sound design by Kai Harada and Jessica Paz. The Public has also announced the 2019 Shakespeare in the Park season at the Delacorte, set to include Much Ado About Nothing (May 21-June 23) directed by Kenny Leon and Coriolanus (July 16-August 11) directed by Daniel Sullivan. In Leon's Much Ado, the community of Messina is celebrating a break from an ongoing war—but not all is peaceful amid the revelry, as old rivals engage in a battle of wits, unexpected foes plot revenge and young lovers are caught in a tumultuous courtship—until love proves the ultimate trickster and undoes them all. Sullivan will helm a modern-day take on Coriolanus, a blistering drama about a general who is voted into power by a populace hungry for change, and the unraveling that follows. Casting and additional creative team members for all three productions will be announced soon.